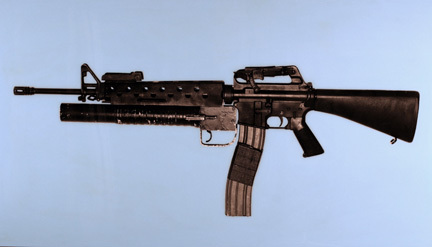 The Golden Closet is proud to announce that several of our screen used guns are included in an exhibition of artwork by Los Angeles based artist James Georgopoulos. 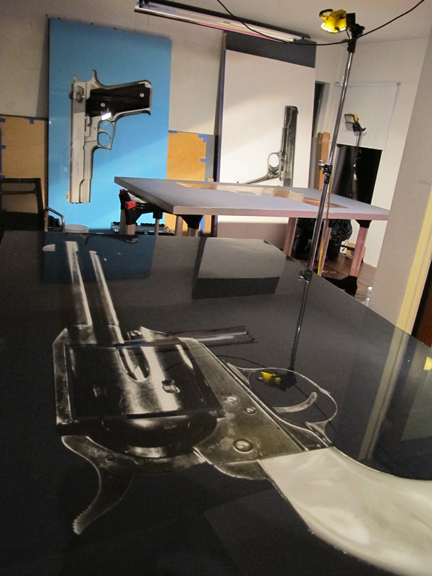 The collection, entitled “Guns Of Cinema”, features striking photographic images of iconic movie guns using unique silver gelatin prints with acrylic polymer and resin mounted on wood and aluminum panels. 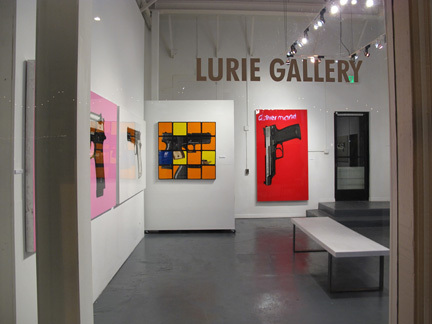 The exhibition is currently on display at the Lurie Gallery in Santa Monica, Ca. 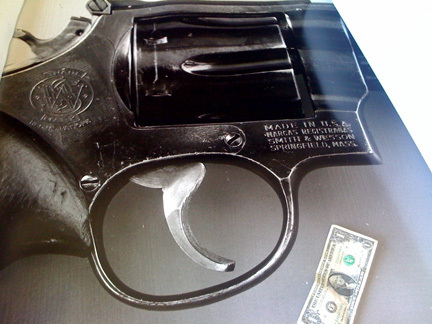 through May 14th, 2011. Breanna Livie of The Golden Closet has been in search of a way to fuse the world of contemporary art with that of iconic entertainment memorabilia. 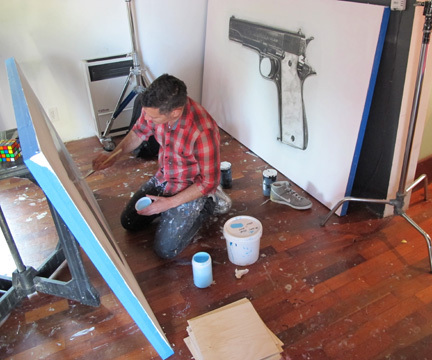 Having always felt that the two fields have the capability to reflect and chronicle popular culture, she was excited for the opportunity to work with Jimmy G.
“Jimmy now has produced images of over 47 high profile iconic movie guns to create his dynamic series, ‘Guns Of Cinema’.